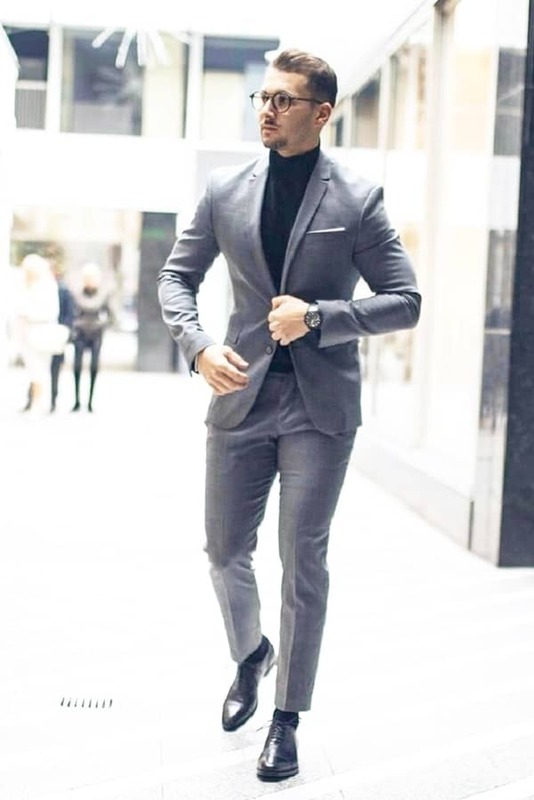 The Best Grey Suit Brown Shoes Styles For Men are those that radiate class without any hindrance and when it comes to class, tan shoes set their own benchmark. 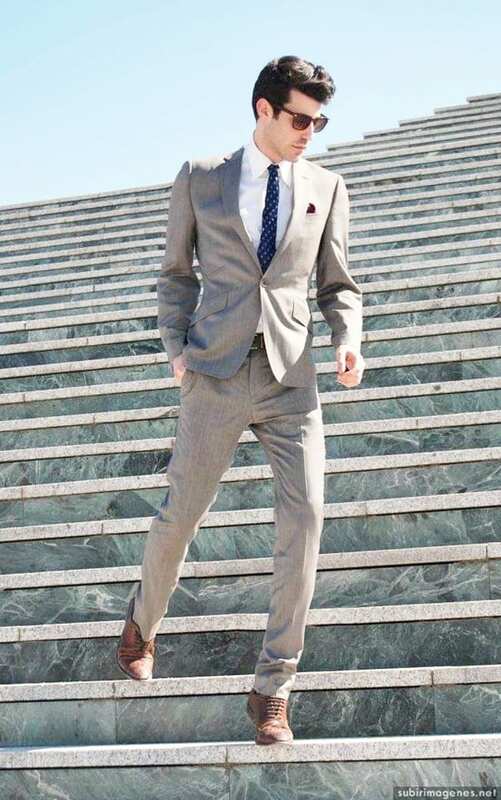 Pair your grey suit with tan brown shoes and turn all the heads around. 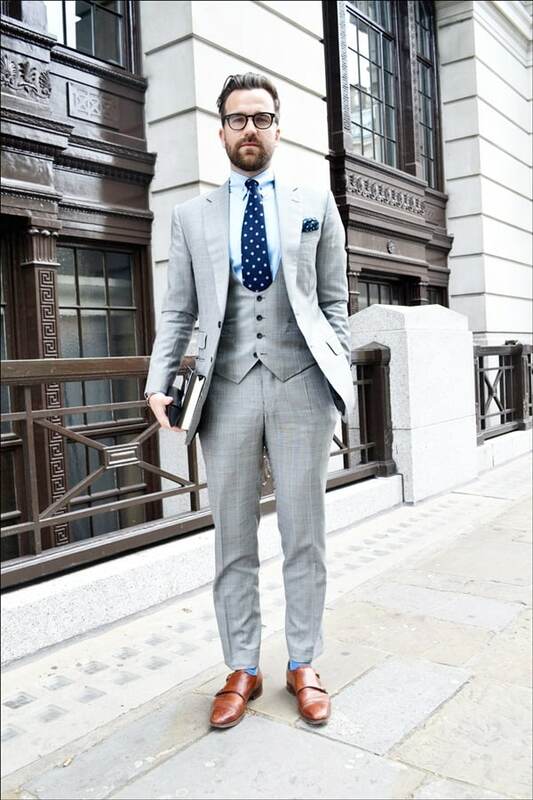 To up your style game, you can always accessorise your getup. And you don’t need much- a pair of sunglasses and a duffel bag should serve the purpose. 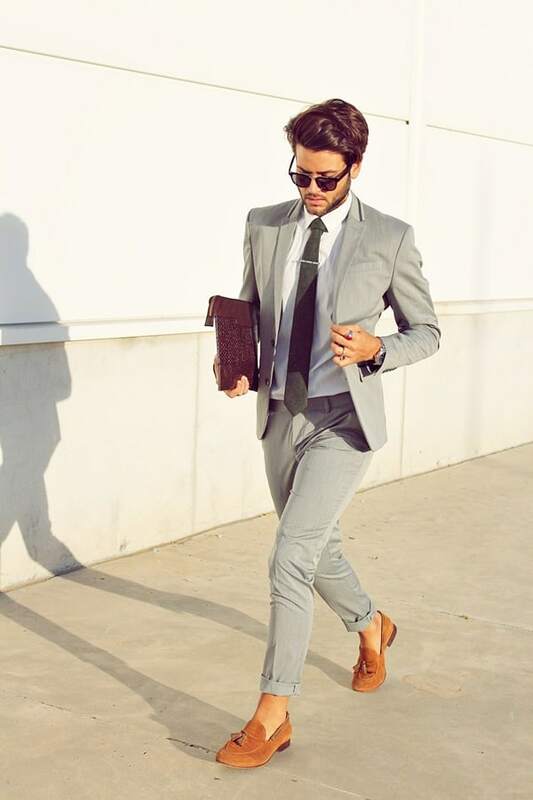 Talking about the Best Grey Suit Brown Shoes Styles For Men, we sure can’t leave out checks. 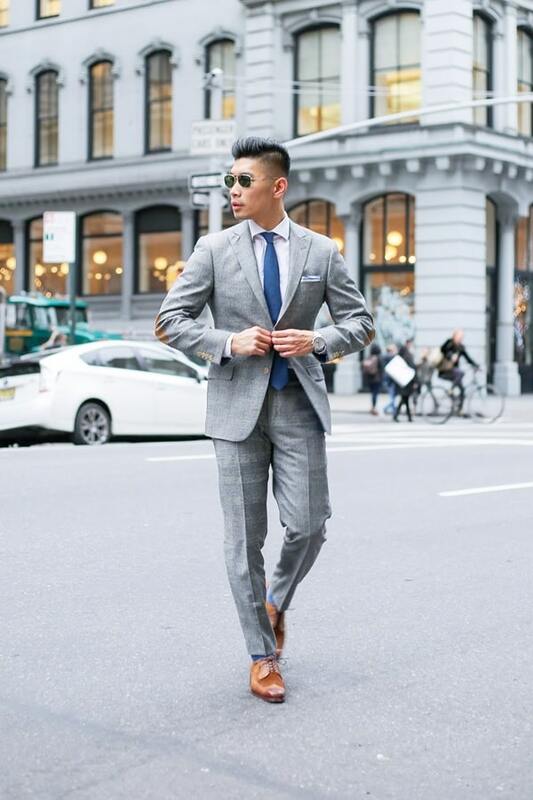 Checkered grey suits are being loved worldwide. And the kind of panache and charisma they have is simply unmatched. 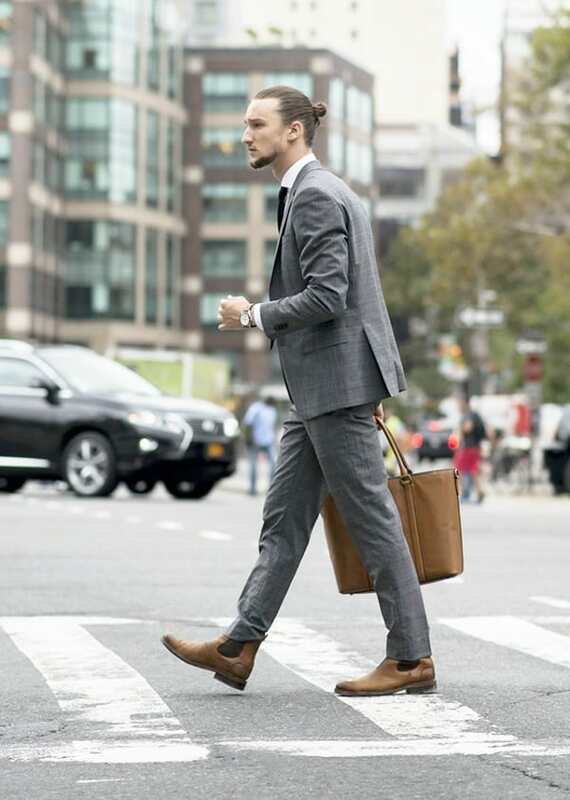 When you pair your checkered suit with a pair of brown loafers, your style stands out without you even trying for it. 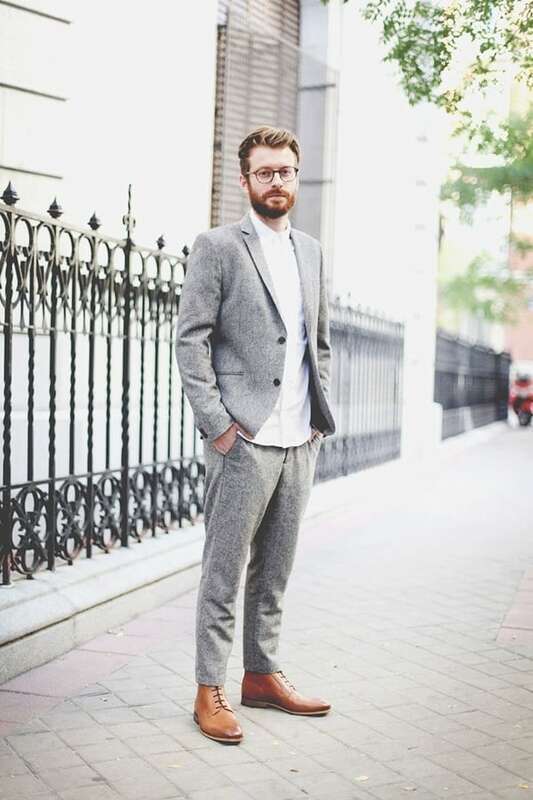 Whether you want busy cheques or laid-back ones, it’s up to your style preferences. But no matter what you choose, make sure it goes with the size of your body. If you are bulky, it would be wise of you to avoid large checks. 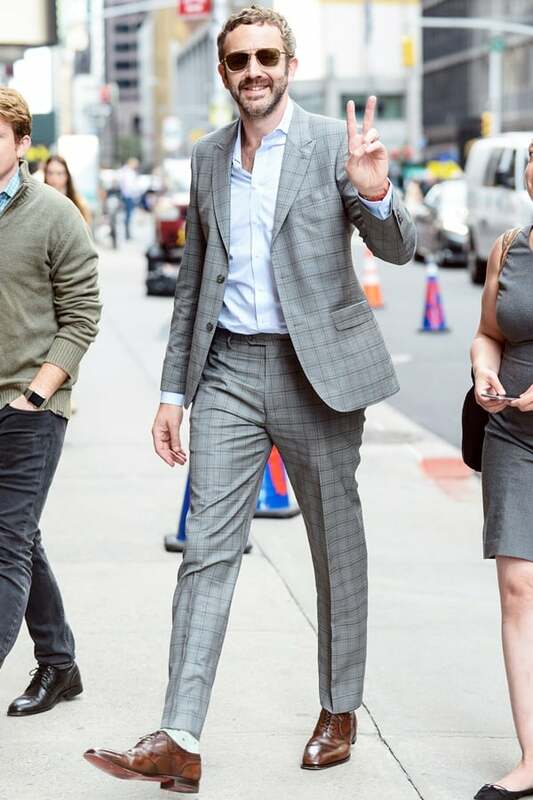 You are dressed up in a charcoal grey suit, have matched it with a nice pair of brown shoes too, but you somehow feel incomplete. 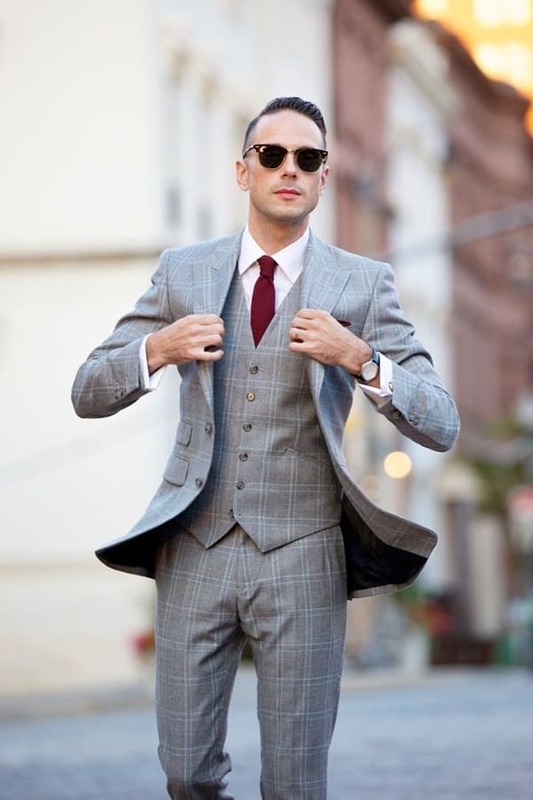 Well, just ditch your grey, black, white or brown tie for a red or burgundy one. 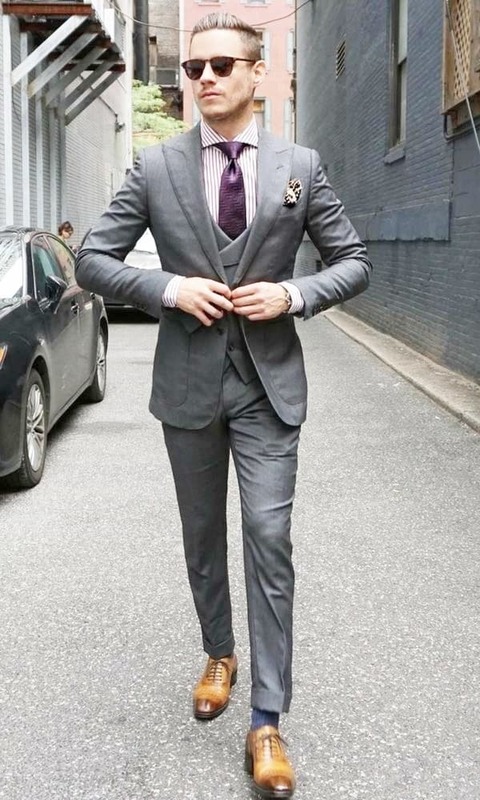 Red/ burgundy ties are a match made in heaven for your grey suits. 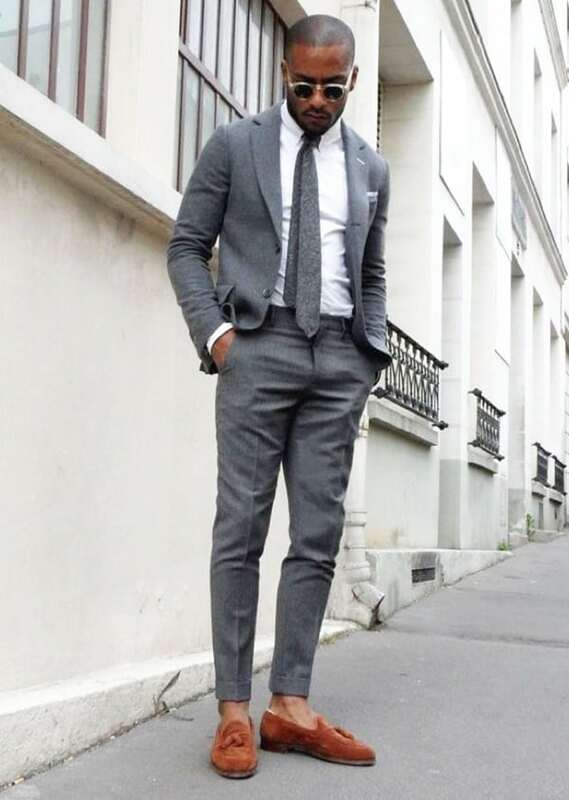 The combination of grey and red go perfectly well. 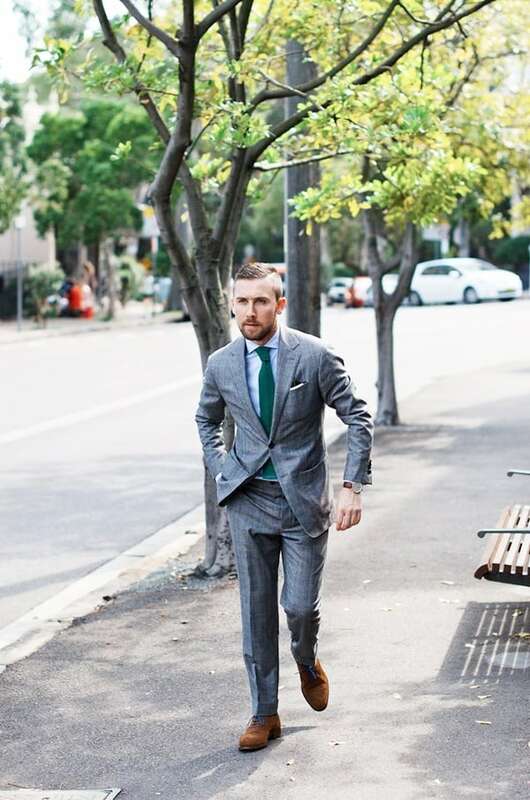 When you are in a red tie, you also don’t need a lot of accessorising. 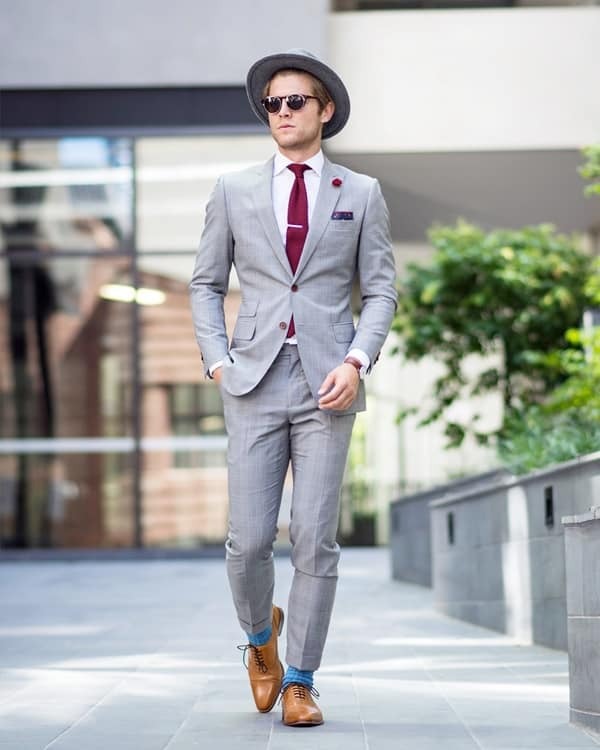 The red tie stands out and makes your getup stand out too. 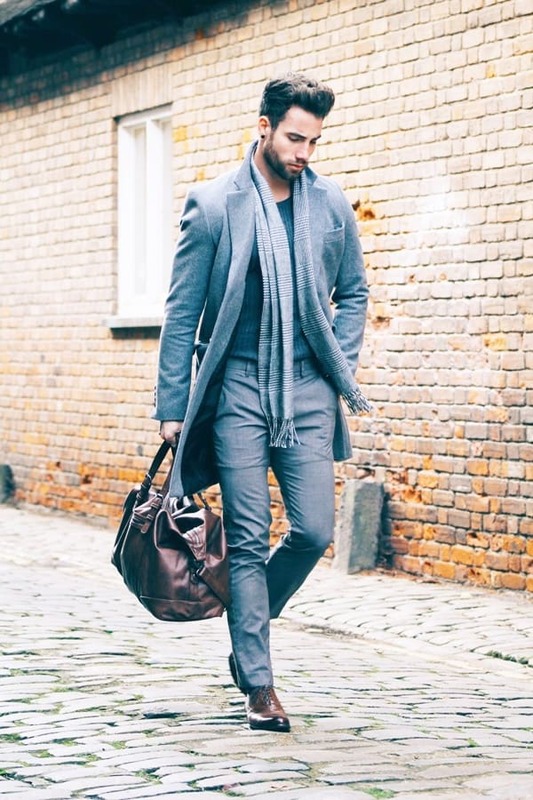 If you think your gentlemanliness less radiates from your grey suit brown shoes getup, then just complement your attire with a scarf. Scarfs are available in all imaginable patterns and prints on the market. 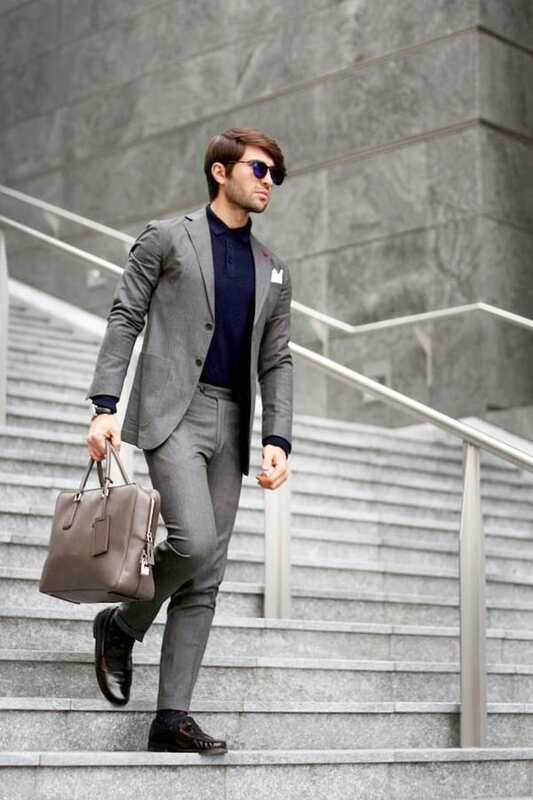 All you need is to search for the right one and put it around your neck for that ultimate chivalrous look. 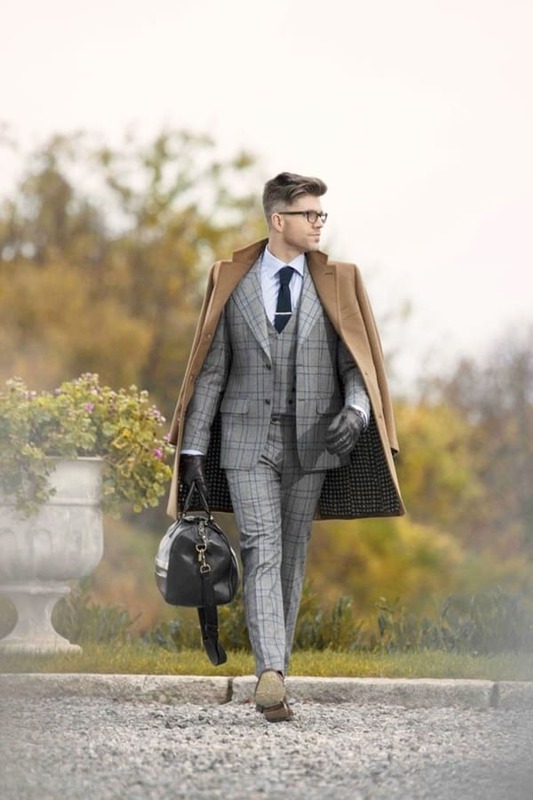 There are also different styles in which you can wear your scarf. And it doesn’t really matter which style you go for, it is going to look awesome on you, anyway. 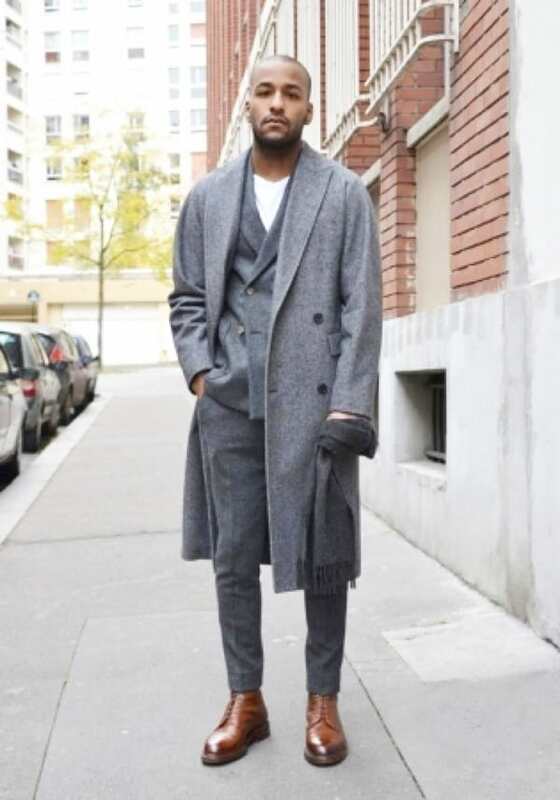 For that extra dose of oomph, you just need to throw a nice overcoat over your shoulders- your grey suit brown shoes outfit immediately gains impetus. 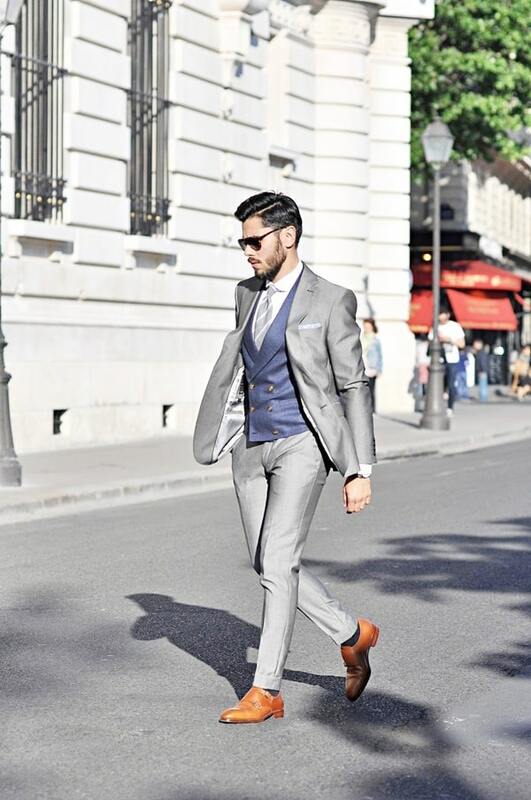 Although you are a slayer even without the overcoat, with it you become an inspiration for fashion-hungry men. 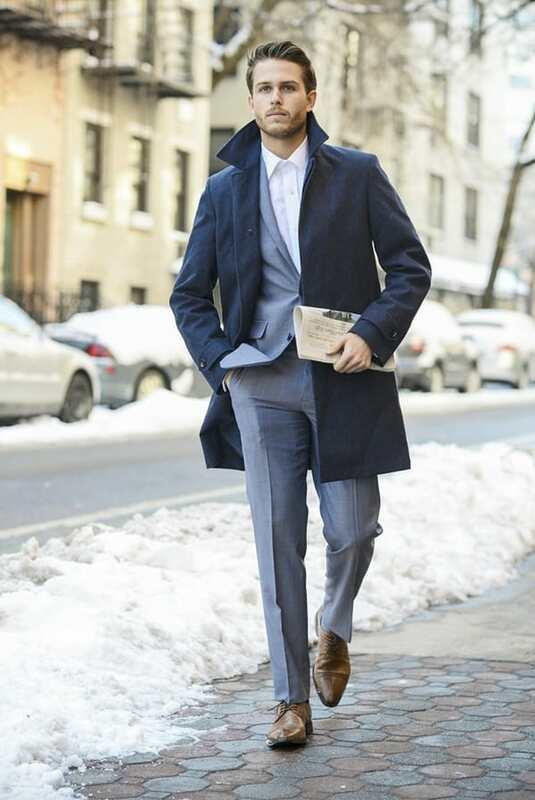 Why always wear a shirt underneath your coat? 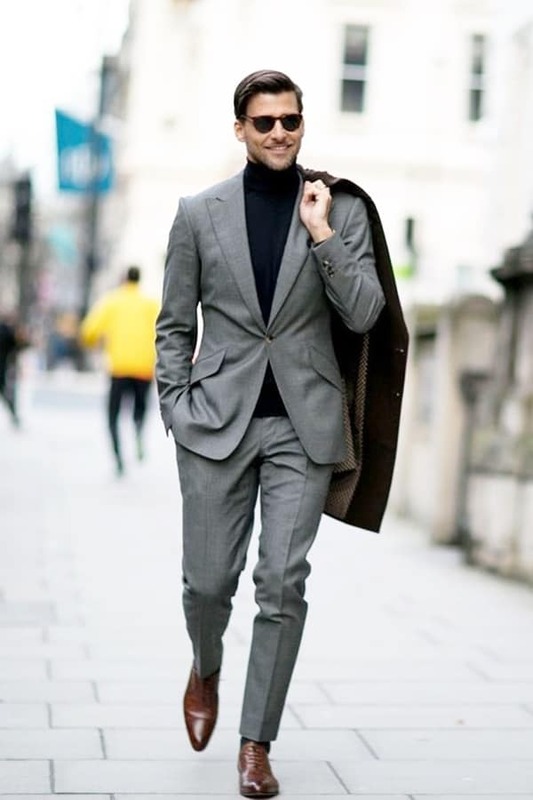 Ditch the shirt for a turtleneck and kick your looks up a notch. 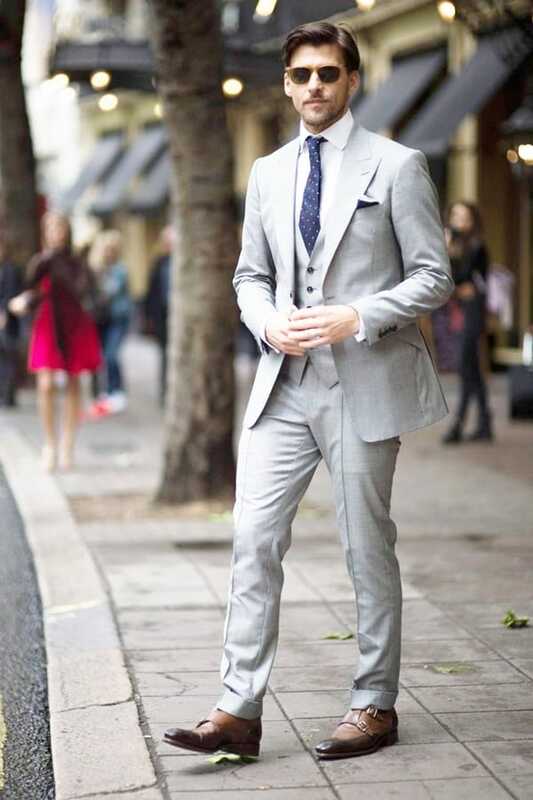 There is absolutely no check on which colour you wear, just make sure it goes with your grey suit. 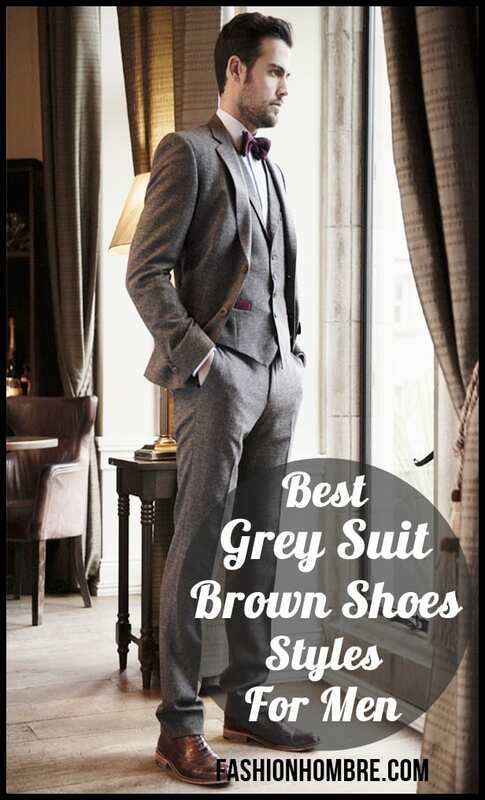 The Best Grey Suit Brown Shoes Styles For Men is here, right on your platter. All you need is to devour. 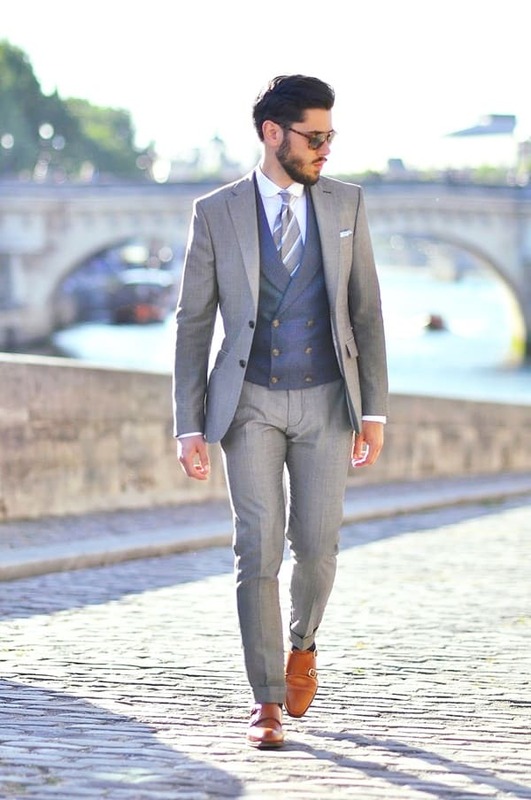 Just close your eyes, pick any of these styles and you are great to go. These styles are in and are having a moment, for sure.